March is a white month is Alberta, though the daytime temps were regularly above freezing. I spent a few days checking out the not quite spring scene in this corner of the province, just north of Montana and east of British Columbia. Starting in Calgary, I flitted around the area, ending up in Banff where I emceed the 2018 Adventure Elevate conference put on by the Adventure Travel Trade Association. At the First Nation-owned company Painted Warriors Ranch, archery and other wilderness survival skills are taught. 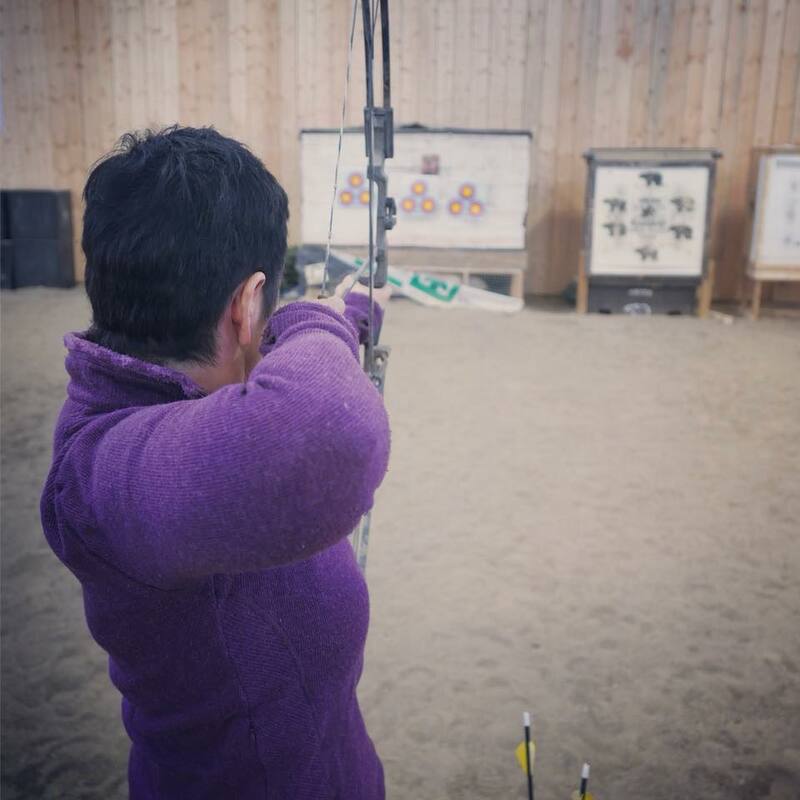 Apparently I’m not a bad shot as I managed to hit the bull’s eye. According to co-owner Tracey Klettl, in a real hunting situation, you don’t want to wound an animal and cause it to suffer so make sure you can fell it in one shot. (I think I’ll stick to inanimate targets.) Mountain View County, southern Alberta. “We don’t take an animal’s life lightly,” says Painted Warriors ranch owner Tracey Klettl. In the indigenous worldview, hunting is not sport but for food and subsistence, and permission must be requested of Mother Earth. Alberta, Canada. Wolves and dogs are sometimes bred together but the resulting wolfdogs often have traits pet owners find undesirable and are given up at a higher rate than regular dogs. Where do they go? 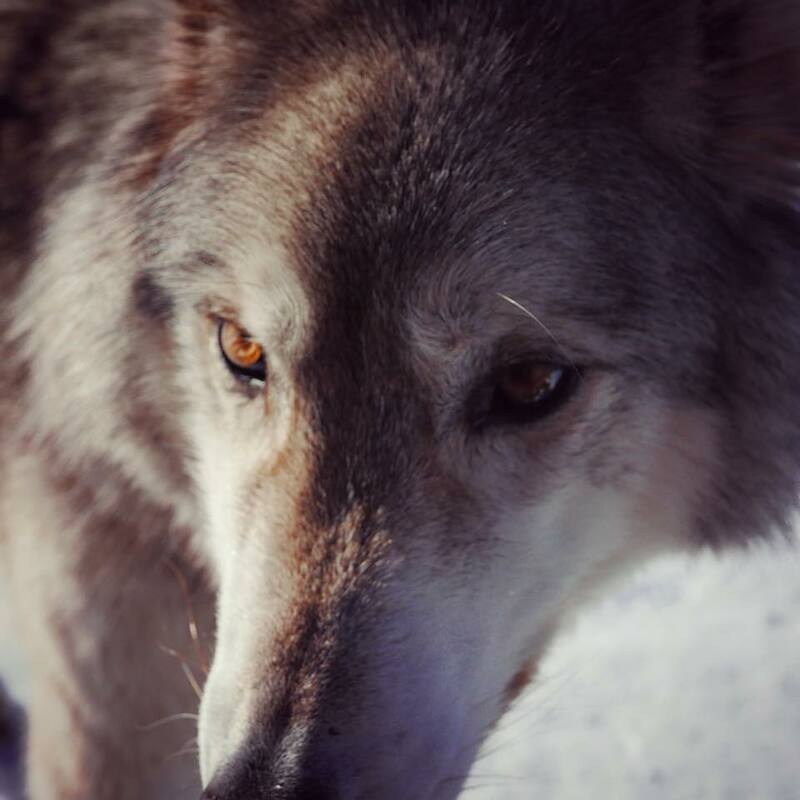 There is only one place in Canada, the Yamnuska Wolfdog Sanctuary. Tours aim to educate and cover the rescue’s costs. Southern Alberta. So called high-content wolfdogs (with a higher percentage of wolf genetic content) can be shy and fearful of humans. Lower content wolfdogs, like this one, are often less fearful but still don’t have the friendliness of domesticated dogs. People buy them for their handsome looks but they often disappoint as pets. Yamnuska Wolfdog Sanctuary, Southern Alberta, Canada. An Alberta take on the Nordic spa experience at the Delta Kananaskis Lodge in Kananaskis Provincial Park. Canada. Stress formula: Hot water, cold air, heated hammocks, steam, stars. The Delta Kananaskis Lodge has just undergone a refresh, including the only Nordic spa in the province. Alberta, Canada. Illuminating hike at Grotto Canyon with First Nation-owned Mahikan Trails. Southern Alberta. Crampons needed: The Grotto Canyon ice walk is a slippery affair, open to everyone including dogs and toddlers. Many don’t realize that there are pictographs dating back thousands of years in one spot. Guide Morgan points out the coyotes, canoe, and a mysterious trickster figure and explains this canyon provided a shortcut to animal migration routes and was therefore considered sacred. Alberta, Canada. People have to eat: Housed in a converted commercial garage in Canmore, Blake combines fresh ingredients and internationally inspired dishes. It’s best to order plates to share. Rave is a local fave in Canmore. Alberta, Canada. Soapstone-carving workshop at the Carter-Ryan Gallery in Banff. Jason Carter is a carver and painter taking inspiration from his Cree roots to create modern art. He’s in the red apron patiently schooling us. We all carved one of two beloved mountains: Rundle or Cascade. Alberta, Canada. Rocky mountains: Castle Mountain and its reflection in a puddle of water, a photographic cliché that is nevertheless beautiful. From the Bow Valley Parkway. Banff National Park. Room with a view: Frozen Lake Louise is silent and serene in the early morning, although its four ice rinks will soon fill with skaters and hockey players. In summer the lake glows blue from the glacial melt. From my window at the iconic Fairmont Chateau Lake Louise hotel. Canadian Rockies. The Icefields Parkway is one of the world’s most scenic drives. Amazing views at every turn, and in the winter, there’s no traffic. Canadian Rockies. Bubble walk: In extremely cold conditions, methane gas emitted by bacteria creates frozen bubbles under some lakes. Abraham Lake has them but they were hard to see as the lake was covered in snow. Fun was still had by all. Alberta, Canada. An ice climber on a frozen waterfall in Johnston Canyon. An easy and scenic ice walk (crampons needed) gets you there. Banff National Park, Alberta, Canada. Johnston Canyon: A popular trail in the winter (dogs like it too); an extremely popular trail in the summer. Alberta, Canada. Bye, Banff: It was fun to emcee Adventure Elevate, explore southern Alberta, reconnect with old friends and meet new ones.